Unique for its compact and professional design, as well as its superb sound quality. Its strong casing preventsdamage against drops of up to 5ft. 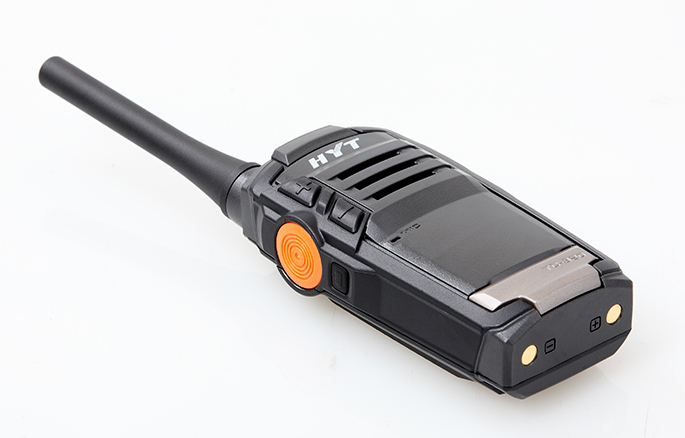 This radio enables businesses to enjoy dependable communications at an extremely low cost. 2W output power has a range of up to 6 miles. Compact durable design that can with stand a 1.5 meter drop. 1700mAh high capacity Li-Ion battery lasts approximately 12hrs. The combination of double injection molding and grip technology brings users a comfortable and convenient operation experience. Chargeable and Programmable through the Mini-USB port, plug directly into an outlet or the optional charger.